Baby Bear / Kadir Nelson. Bray, an imprint of Harper Collins. 2014. As Baby Bear tries to find his way home through the forest, he asks many different woodland creatures for help and finds that much of their advice is more comforting than helpful. Blue on Blue / Dianne White. Beach Lane Books. 2014. Rhyming text and illustrations depict the swell and quieting of a storm. The Book with No Pictures / B.J. Novak Dial Books, 2014. You might think a book with no pictures seems boring and serious. Except. . .here's how books work. Everything written on the page has to be said by the person reading it aloud. Even if the words say. . .BLORK or BLUURF. Construction / Sally Sutton and Brian Lovelock. Candlewick Press. 2014. Dinosaur Parade / Shari Halpern Henry Holt. 2014. Illustrations and simple, rhyming text present a wide variety of dinosaurs. The Farmer's Away! Baa! Neigh! / Anne Vitur Kennedy Candlewick Press, 2014. A rhythmic story features a noisy menagerie of mischievous animals who go picnicking, jet skiing, and ballroom dancing in the farmer's absence. 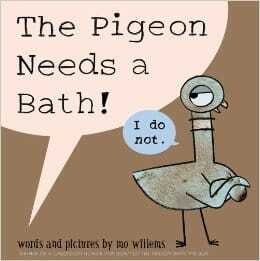 The Pigeon Needs a Bath / Mo Willems Disney Hyperion. 2014. Rex Wrecks It! / Ben Clanton. Candlewick Press, 2014. Little dinosaur Rex smashes his way through his long-suffering friends' block buildings, testing their playtime fun and friendship. Sam and Dave Dig a Hole / Mac Barnett. Candlewick Press. 2014. You Are (Not) Small / Anna Kang Two Lions. 2014. Two fuzzy creatures can't agree on who is small and who is big, until a couple of surprise guests show up, settling it once and for all. 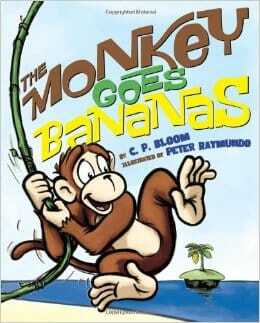 Winner - The Monkey Goes Bananas by C.P. Bloom, Peter Raymundo, ill. Creature Features: 25 Animals Explain Why They Look the Way They Do / Steve Jenkins and Robin Page. Houghton Mifflin. 2014. Why does the giraffe have a purple tongue? Why does the horned frog have such an enormous mouth? In this book you can find out what the 25 animals have to say for themselves. Dear Mr. Washington / Lynn Cullen; Nancy Carpenter, ill. Dial Books. 2015. Imagined letters from the daughter of portrait painter Gilbert Stuart transport readers to the creation of one of the most famous paintings of the first U.S. president. Young Charlotte Stuart begins her first missive to George Washington apologizing for the chaos that she and her brothers instigated trying to get him to smile. "I'm so Sorry for what happened to your hair Ribbon," Charlotte writes. "James and I did not mean for our Cat to race up your Shoulder." Flashlight / Lizi Boyd Chronicle Books, 2014. Gaston / Kelly S. Dipucchio; Christian Robinson, ill. Atheneum Books for Young Readers. 2014. I Pledge Allegiance / Pat Mora & Libby Martinez; Patrice Barton, ill. Alfred A. Knopf Books for Young Readers. 2014. "Libby and her great-aunt, Lobo, both learn the Pledge of Allegiance--Libby for school, and Lobo for her U.S. citizenship ceremony"
Last Stop on Market Street / Matt de la Pena; Christian Robinson, ill. G. P. Putnam and Sons, 2015. A young boy yearns for what he doesn't have, but his nana teaches him to find beauty in what he has and can give, as well as in the city where they live. Mama Built a Little Nest / Jennifer Ward; Steve Jenkins, ill. Beach Lane Books. 2014. The Monkey Goes Bananas / C.P. Bloom; Peter Raymundo, ill. Abrams, 2014. Monkey, having spied a banana tree across the water, will stop at nothing to get a snack. Noodle Magic / Roseanne Thong; Meilo So,ill. Orchard Books. 2014. Grandpa Tu is famous for his special noodles, and as the emperor's birthday approaches, he teaches his granddaughter, Mei, the family trade. Mei struggles to find the magic needed to make noodles. Ultimately, she finds the magic--and the ability to succeed--within. Mei doesn't just make noodles--her magic noodles in varied shapes and sizes rain down from the sky! This Book Just Ate My Dog / Richard Byrne Henry Holt and Co. 2014. The Boundless / Kenneth Oppel. Simon & Schuster Books for Young Readers, 2014. The Boundless, the greatest train ever built, is on its maiden voyage across the country, and first-class passenger Will Everett is about to embark on the adventure of his life as he enlists the aid of a traveling circus to save the train from villains. Duke/ / Kirby Larson. Scholastic Press, 2013. 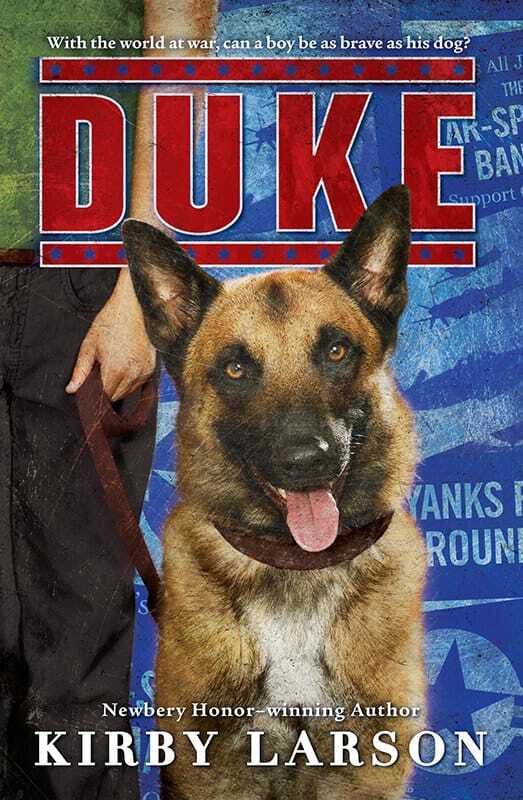 In 1944, Hobie Hanson's father is flying B-24s in Europe, so Hobie decides to donate his beloved German shepherd, Duke, to Dogs for Defense in the hope that it will help end the war sooner--but when he learns that Duke is being trained for combat he is shocked, frightened, and determined to get his dog back. Eye to Eye: How Animals See the World / Steve Jenkins. Houghton Mifflin Harcourt, 2014. In his latest eye-popping work of picture book nonfiction, Steve Jenkins profiles a series of animals with unusual eyes, and explains how such animals use their uniquely evolved eyes to gain essential information about the biological world. Fairy Tale Comics / Chris Duffy, ed. First Second, 2013. This is a wonderful collection of seventeen graphic novel adaptations of well-known fairy tales. The Fourteenth Goldfish / Jennifer Holm Random House, 2014. Ice Whale / Jean Craighead George; John Hendrix, ill. Dial Books for Young Readers, 2014. In 1848, ten-year-old Toozak, a Yupik Eskimo, sees a whale being born and is told by a shaman that he and his descendants must protect that whale, which Toozak names Siku, as long as it lives. Nuts to You / Lynn Rae Perkins. Greenwillow Books, 2014. After surviving being carried off by a hawk, a young squirrel resolves to find his way home, as his best friends begin their search for him. Ophelia and the Marvelous Boy / Karen Foxlee. Alfred A. Knopf, 2014. Borrowed from the story of the Snow Queen, Ophelia, a timid eleven-year-old girl grieving her mother, suspends her disbelief in things non-scientific when a mysterious boy locked in the museum where her father is working asks her to help him complete an age-old mission. Rain Reign / Ann Martin. Feiwel and Friends, 2014. Struggling with Asperger's syndrome, Rose shares a bond with her beloved dog, but when the dog goes missing during a storm, Rose is forced to confront the limits of her comfort levels, even if it means leaving her routines and safe places in order to search for her pet. A Snicker of Magic / Natalie Lloyd. Scholastic Press, 2014. The Pickles are new to Midnight Gulch, Tennessee, a town which legend says was once magic--but twelve-year-old Felicity is convinced the magic is still there, and with the help of her new friend Jonah the Beedle she hopes to bring the magic back. Brown Girl Dreaming / Jacqueline Woodson. Nancy Paulsen Books, an imprint of Penguin Group (USA), 2014. 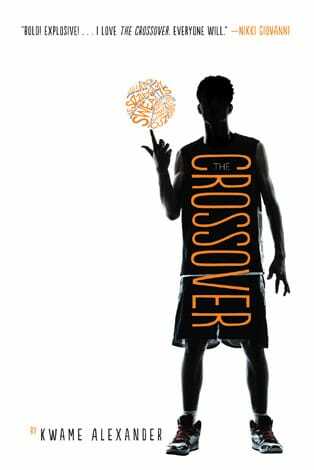 The Crossover / Kwame Alexander. Houghton Mifflin Harcourt, 2014. Curses and Smoke: A Novel of Pompeii / Vicky Alvear Schecter. Arthur A. Levine Books, and imprint of Scholastic, Inc., 2014. Tagus is a medical slave who wants be a gladiator, Lucia is the daughter of Tag's owner and betrothed to an older man, and the two teenagers are in love with each other--but it is the year 79 and soon Vesuvius will alter their lives forever. I Kill the Mockingbird / Paul Acampora. Roaring Brook Press, 2014. When best friends Lucy, Elena, and Michael receive their summer reading list, they are excited to see 'To Kill A Mockingbird' included. However, not everyone in their class shares the same enthusiasm. To get the entire town talking about the Harper Lee classic, they hatch a plot that quickly becomes more that they bargained for. The Iron Trial / Holly Black and Cassandra Clare; with illustrations by Scott Fischer. Scholastic Press, 2014. Warned away from magic all of his life, Callum endeavors to fail the trials that would admit him to the Magisterium - only to be drawn into its ranks against his will and forced to confront dark elements from his past. Book 1 of an exciting new fantasy series. The Night Gardener / Jonathan Auxier. Amulet Books, 2014. Irish orphans Molly, fourteen, and Kip, ten, travel to England to work as servants in a crumbling manor house where nothing is quite what it seems to be. The siblings are confronted by a mysterious stranger and the secrets of the cursed house in this spooky tale. The Secret Hum of a Daisy / Tracy Holczer. G. P. Putnum’s Sons, an imprint of Penguin Group (USA), 2014. After 12-year-old Grace's mother's sudden death, Grace is forced to live with a grandmother she's never met. Then she discovers clues in a mysterious treasure hunt--one that will help her find her true home. Skink: No Surrender / Carl Hiaasen. Alfred A. Knopf, 2014. With the help of an eccentric ex-governor, a teenage Richard searches for his missing cousin in the Florida wilds. There are a million places she could be, a million unpleasant fates that might have befallen her, but one thing is certain: in the Florida swamp, justice is best served wild. Unfriended / Rachel Vail. Viking, an imprint of Penguin Group (USA), 2014. When thirteen-year-old Truly is invited to sit at the Popular Table, she finds herself caught in a web of lies and misunderstandings, made inescapable by the hyper-connected social media world. Wildflower / Alecia Whitaker. Poppy/Little Brown and Company, 2014. Sixteen-year-old Bird Barrett is discovered by a country music record label while playing in her family's bluegrass band. As her star rises, she must learn to stay true to her roots while navigating a brave new world of glamour and gold records in Nashville, Tennessee. ​Above : A Novel / Isla Morley. First Gallery Books, 2014. Blythe Hallowell is sixteen when she is abducted by a survivalist and locked away in an aban¬doned missile silo in Eudora, Kansas. She focuses frantically on finding a way out until the harrowing truth of her new existence settles in. Complicit / Stephanie Kuehn. St. Martin’s Griffin, 2014. Two years ago, fifteen-year-old Jamie Henry breathed a sigh of relief when a judge sentenced his older sister to juvenile detention for burning down their neighbor's fancy horse barn. The whole town did. But today Cate got out. And now she's coming back. 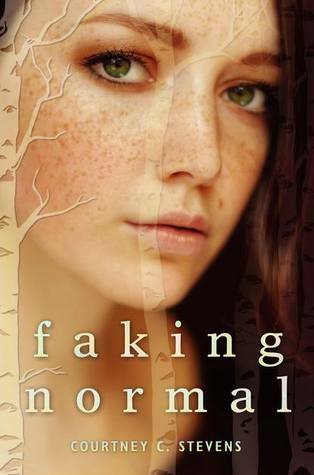 Faking Normal / Courtney Stevens. Harper Teen, 2014. The Geography of You and Me / Jennifer Smith. Poppy, Little Brown and Company, 2014. Sparks fly when sixteen-year-old Lucy and seventeen-year-old Owen meet on an elevator rendered useless by a New York City blackout. Soon after, the two teens leave the city, but as they travel farther away from each other geographically, they stay connected emotionally. I’ll Meet You There / Heather Demetrios. Henry Holt and Company, 2015. If seventeen-year-old Skylar Evans were a typical Creek View girl, her future would involve a double-wide trailer, a baby on her hip, and the graveyard shift at Taco Bell. When nineteen-year-old Josh Mitchell has his leg blown off in Afghanistan, he returns home, a shell of the cocksure boy he used to be. What brings Skylar and Josh together is working at the Paradise--a quirky motel off California's dusty Highway 99. Inhuman / Kat Falls. Scholastic Press; 2013. In the wake of a devastating biological disaster, the United States east of the Mississippi has been abandoned. Now called the Feral Zone, a reference to the virus that turned millions of people into bloodthirsty savages, the entire area is off-limits. Lane McEvoy can't imagine why anyone would risk it. But when Lane learns that someone close to her has crossed into the Feral Zone she has little choice but to follow. The Nazi Hunters: How a Team of Spies and Survivors Captured the World’s Most Notorious Nazi / Neal Bascomb. Arthur A. Levine Books, 2013. In 1945, at the end of World War II, Adolf Eichmann, the head of operations for the Nazis' Final Solution, walked into the mountains of Germany and vanished from view. Sixteen years later, an elite team of spies captured him at a bus stop in Argentina and smuggled him to Israel, resulting in one of the century's most important trials -- one that cemented the Holocaust in the public imagination. In attempting to describe himself in his college application essay, Harbinger (Harry) Jones goes way beyond the 250-word limit and gives a full account of his life. The first defining moment: the day the neighborhood goons tied him to a tree during a lightning storm. The second defining moment: the day in 8th grade when Johnny rescued him from the bullies and suggested that they form a band. The Walk On / John Feinstein. Alfred A. Knopf, 2014. After moving to a new town his freshman year, Alex Myers is happy to win a spot on the varsity football team as a quarterback but must deal with the idea of not playing for two years since the first-string quarterback is the son of the corrupt head coach. The Winner’s Curse / Marie Rutkoski. Farrar, Straus and Giroux, 2014. As a general's daughter, seventeen-year-old Kestrel enjoys an extravagant and privileged life. Arin has nothing but the clothes on his back. Then Kestrel makes an impulsive decision that binds Arin to her. Though they try to fight it, they can't help but fall in love. In order to be together, they must betray their people . . . but to be loyal to their country, they must betray each other.